The fall term will nearly be over, I know it’s hard to believe! Wednesday December 9 will be the last day of fall term classes with final examination and critique period beginning December 10 ending December 18. It’s sad but true, the Learning Zone will be closed after December 18 but returning reinvigorated January 8—with a new year of programs and events. But let’s not get ahead of ourselves—we are still open for the next few weeks. The Learning Zone offers a place to study, access to computers, a light box for tracing, B&W and colour printing, and a colour matcher light booth to help you visualize how colours will appear under different conditions. You can also use it to document your artwork. IT Salon with Andrew McAllister, an Adobe Educator Leader with a background in art and design will be in the Learning Zone Tuesday December 8 and Thursday December 10, 1:30 pm – 2:30 pm to share his knowledge and expertise on using Adobe Creative Cloud. How wonderful is that? Feminist FOMO NOMO has been extended until December 9, if you have not had the opportunity to see this exhibition, please drop in to catch this diverse multi-disciplinary collection of artwork which focuses on the question: What does feminism mean to you? Xpace Cultural Centre current exhibition in External Space is a video called Flash Splash made by Toronto artist Eli Schwanz. 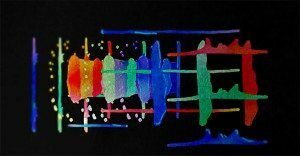 Flash Space is an infinite loop of RGB image sequencing, displaying repetitive motion of abstract shapes—waves, drops and splashes. Additive colours blend and mix together. Teamed with a tonal droning soundtrack layered with dripping, splashing, and sloshing water. Please read this insightful exhibition essay by Fan Wu. On until February 15, 2016. In 2016, OCAD U Zine Collective will be meeting every 1st / 3rd Thursday of each month at 12 pm in the Learning Zone. 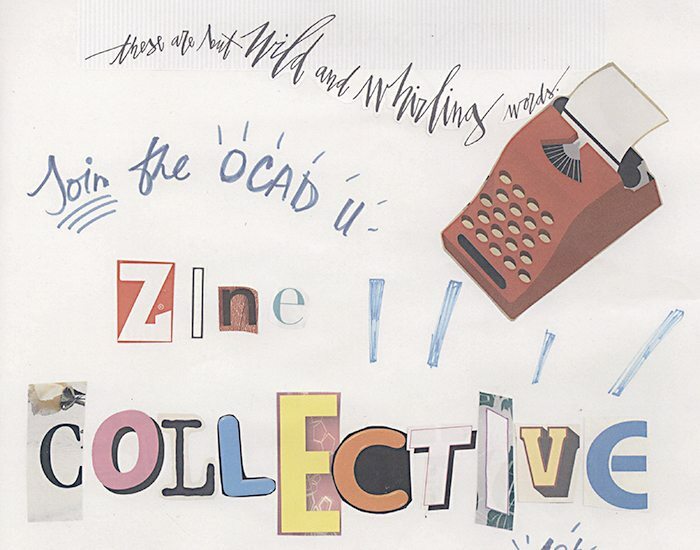 Join the Facebook group: OCAD Zine Collective, or email ocadzinelibrary@gmail.com.